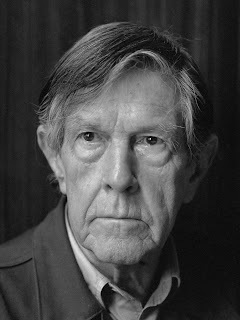 An article about John Cage (a big influence on composers I admire, such as William Duckworth) reveals a political dimension I didn't now about: Cage leaned libertarian and anarchist in his political views and boasted that he had never voted. "Cage's informing theme is announced in the book's subtitle: How To Improve the World (You Will Only Make Matters Worse). Always is he predisposed to leave well enough alone; almost always are his sympathies libertarian. (The exception is a peculiar, unfortunate, and temporary admiration for Mao Zedong.) In addition to appreciating such '60s touchstones as Marshall McLuhan, Buckminster Fuller, and Norman O. Brown, Cage was influenced deeply by the American individualist anarchists. 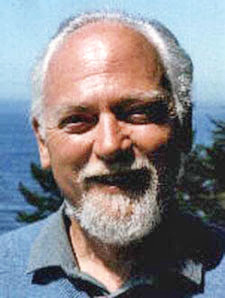 His guide to their work was James J. Martin's 1953 history Men Against the State. Martin for a while was Cage's Rockland County neighbor, and Cage would purchase copies directly from him. 'It's one of those books I never have,' he once told an interviewer, 'because I'm always giving them away'." Interesting! I didn't know Martin's _Men Against The State_ was a substantial influence on Cage. When Loompanics was still in business, they sole me a pristine copy for, IIRC, $2. It's almost as if Mike Hoy had hundreds or a few thousand copies in his warehouse. That and Martin's wonderful _Revisionist Viewpoints_. I think new copies of that were being sold for $2 too. That was the book that made me realize the semantics of "libertarian" had changed quite a lot since the 19th century, at least in Unistat. In reading Martin's _Men Against The State_ I started to think of varieties of semantic meanings of "libertarian-anarchist" thought. To this day I do, but I tend to have a hard time liking a lot of what passes for current American capital ell Libertarian thinking, and I think RAW pulled a punch or two about them because he knew a decent chunk of his readership were Libertarians. "The semantic smokescreen raised up by the moral uproar here and overseas after Haymarket and a number os sensational assassinations in Europe covered over in the process the uncompromising stand taken by the American individualist anarchists, who deplored the use of force, or 'direct action,' and asserted as before their traditional hope of the eventual adoption of noncoercive individualist equity as a result of education and rational conviction." Martin asserts his American anarchists had these ideas almost 50 years before Bakunin, Goldman, and Kropotkin. When I step back and look at the semantic drift of "libertarian" I feel foolish. Of COURSE the meanings would change! For numerous reasons. ADDENDA: Yea yea, I know: James J. Martin was a Holocaust Denier. And I am not. Another thing RAW liked about Pound - I paraphrase - Every man deserves to have his ideas analyzed individually. Holocaust denial seems to me a major, puzzling idiotic mistake when coming from guys like Martin and his hero Harry Elmer Barnes. Holocaust denial seems like a really obvious temptation if one believes that WWII was something America was tricked into. Holocaust denial may have seemed like an obvious temptation if you doubted the official story about Pearl Harbor, but it seems like quite the stretch to be as smart as Martin and Barnes were and still be able to reject all that - uncannily massive, really - documentation that the Holocaust happened. It's as if Martin and Barnes had proto "We're in the Matrix, man!" takes on "reality."